Riads are the real deal. 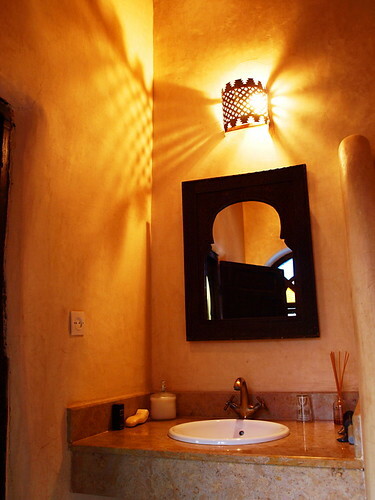 A riad is a traditional Moroccan house built around a garden courtyard and decorated in beautiful zellij tiles. 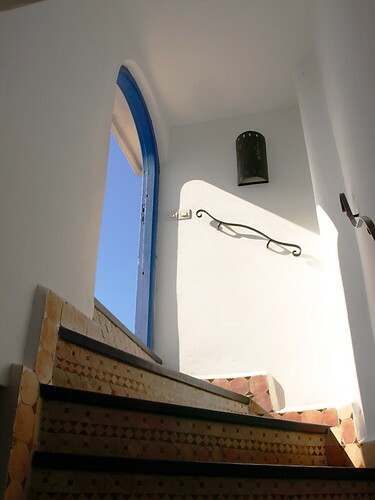 Dars are similar to a riad but with a small inner patio rather than a garden courtyard and are most often located on the coast in places like Casablanca and Essaouira. In the thick of it. Built to respect total privacy, riads are often tucked away down alleys or at the end of cul-de-sacs in the heart of the medina and in easy walking distance of souks and sights. Experts on hand. Riad owners and managers are insider experts on your Moroccan city or resort and they are a mine of invaluable information and tips which they’re happy to share with you. 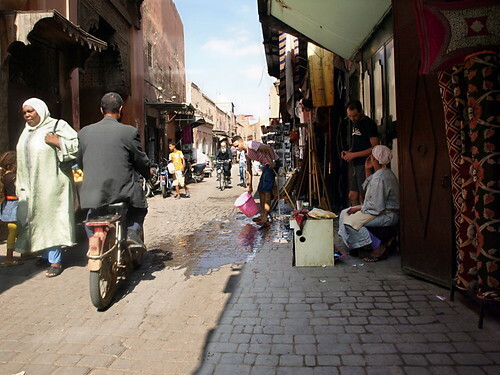 Whether it’s Marrakech or Meknes your riad wants you to enjoy the best Morocco can provide and they’re just the people to ensure you have the advice at hand to do that. The best food. Morocco has a reputation for good food and you often find that the best cooking is done in the home rather than in restaurants or hotels. Your riad will have an excellent cook and you can enjoy authentic cuisine prepared just for you in the comfort of your own roof terrace or garden courtyard. A helping hand. Your riad manager is happy to help you with arrangements to ensure your holiday plans go smoothly. From arranging for taxi transfers from and to the airport to helping you navigate the medina, the riad manager is like having a friend in Morocco who’s always on hand to sort things out. Value for money. Riads provide a beautiful, authentic Moroccan experience for less than it would cost to get the equivalent standard of room and service in a hotel. There are often special offers to take advantage of too, like four nights for the price of three. Tailor made. 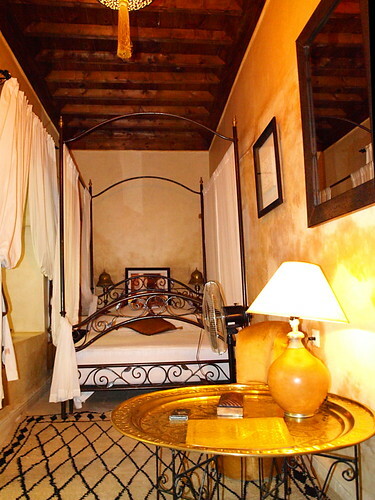 Staying in a riad you can tailor your Morocco holiday to meet your own personal needs. 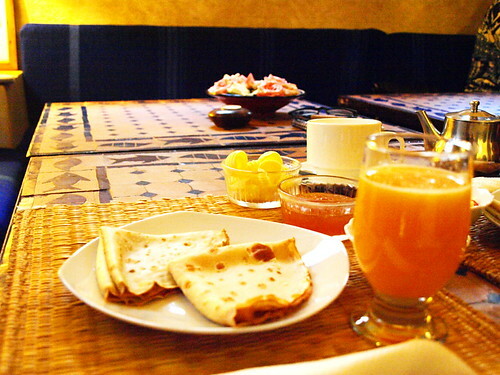 With the help of the riad manager, you can plan itineraries and arrange tours. Whether it’s trekking in the Atlas Mountains, a diversion to the desert or a coach to the coast, you’ll get practical help and advice in making it happen. Your private oasis. Often several hundred years old, the riads have been lovingly restored and maintained to provide an oasis of tranquillity and allow you an insight into Moroccan life. Bedrooms are packed to their rafters with original features and beautiful en suite bathrooms. Built for the climate. Designed to absorb moisture, releasing it back into the atmosphere to temper the heat, with a cooling central courtyard and sunny roof terrace, a riad is the perfect model for the Morocco climate. A world of beauty. Like Alice down the rabbit hole, crossing the threshold of a riad transports you into a magic world where the bustle of a medina is replaced by the jasmine scent of the garden, the tinkling of the fountain, mint tea, fresh home made bread, pastel walls, cascading flowers and sandalwood scents. A beautiful place in which to enjoy Morocco’s sun soaked days and starry nights.